Divorce is a process. It can be uncomfortable, but our family law team can help you through it. Divorce and separation can be an uncomfortable and challenging part of our lives. For some the process may be tense but liberating. For others it can be devastating. 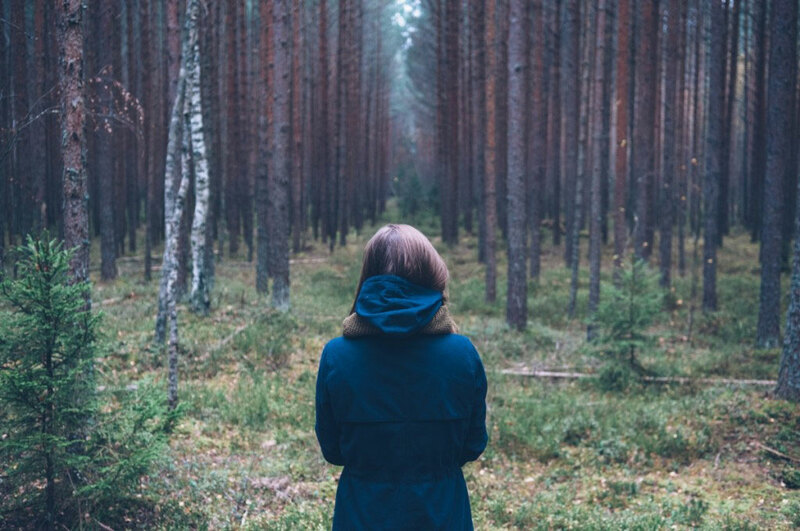 Whichever camp you happen to fall into, the legal process from separation to divorce is relatively the same. This guide to how to get a divorce will take you through the stages from notification of separation to your divorce hearing. However it's not legal advice. If you’re getting a divorce it’s important you seek legal counsel as soon as possible. Seeking financial advice can also be beneficial. Especially if you're preparing for a new stage of financial independence. Would you feel more comfortable with a male or female divorce lawyer? We have both and are always happy to find right solicitor for you. It's really important you have a family lawyer you trust and relate to. We have both male and female family solicitors. They're all experienced in family law cases including parenting arrangements and property settlements, but with various age groups represented we make sure you have someone who you can relate to. Some of our solicitors are also bilingual. You must be separated for 12 months before you can file for divorce. Couples with children have to attend mediation meetings - this is an obligatory part of the process. Despite these time obligations, you can make divorce less difficult by being open to negotiation when it comes to arrangements and settlements with your ex-spouse. However, let us be very clear, this is not always possible. (Domestic violence, abuse or certain behaviours may mean negotiation just isn't an option.) No matter the journey you’re about to head on, the team at CM Lawyers are committed to providing you with support. So, let’s get started. Under Australian Family Law married couples must be separated for a minimum of 12 months prior to lodging an application for a divorce. You don’t need to officially register your separation. However, you should take note of the day that you and your partner do separate. Some couples find it beneficial to put their separation in writing too. If you foresee difficulties regarding your property settlement down the road (especially for de facto couples), the simple act of sending a text message or email declaring your separation can be beneficial evidence for your case. If you remember one thing: if you think your divorce property settlement might be difficult, send your spouse a text or email stating your intention to separate. It simply needs to say: 'This is a formal statement of our separation and my intention for divorce.' This could save you a world of worry if your spouse tries to contest your separation date. But what exactly defines separation in the eyes of the law? If you breach any of the above criteria, such as hiding you separation from friends and family, sharing finances or remaining sexually active with your spouse, you will risk potential delays to your divorce. If you and your spouse do decide to stay under the same roof for financial or personal reasons it’s important to put your separation date in writing, to move into separate bedrooms, to inform those close to you of your separation and to remain financially independent for the course of the 12 month minimum. If you remember one thing: You can separate and still live under the same roof. Just make it formal. Put your separation in writing (an email is fine) and make sure friends and family know you're separated and intending to divorce. Looking for a family law solicitor to help with your separation and divorce? 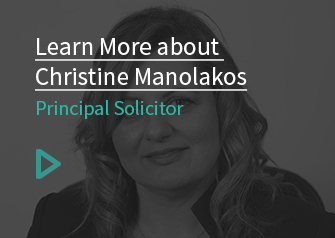 Find out more about our practice principal, Christine Manolakos. Marriages end. Luckily for us, Australian law no longer forces us to prove the divorce was someone’s fault. No-fault divorce, the result of the Family Law Act 1975, is an incredibly important piece of legislation ensuring that we don’t have to endure an unhappy or unsatisfactory marriage. The only ground for divorce is the irretrievable breakdown of a relationship, as demonstrated by 12 months of separation. If you have been married for less than two years then you'll have to attend Family Court appointed marriage counselling or seek permission from the Court to apply for divorce. "I have been dealing with CM Lawyers for many years on both a professional and personal level and have found their experience and hands on approach second to none. Christine and Alex and their staff are diligent and ethical and I do not hesitate to recommend their services to clients and friends alike." Tina F, a client review on our Facebook page. Filing for divorce is an 8-step process. Here we lay it out as simply as possible. Step 1: Complete an Application for Divorce form – You’ll find the divorce kit on the Family Court website here. Step 2: Swear or affirm – You’ll need to have your divorce application witnessed by either a lawyer, a Justice of the Peace, or another person authorised to witness affidavits. Step 3: Make copies of your application – You’re required to make two photocopies of the completed and signed application and all supporting documents. You can find out more about divorce application fee reduction here. Step 5: Receiving your file number and hearing date – You’ll receive your copy of the divorce application along with your case file number and the date of your divorce hearing. Step 7: Your divorce hearing – Whether or not you need to attend your divorce hearing comes down to your family circumstances. You will not be required to attend if there are no dependant children or there are dependant children but you and your spouse are filing for a joint divorce. If you are filing for divorce on your own and there are dependent children you will have to attend your divorce hearing in court. Step 8: Finalisation – A successful application should be finalised within one month and one day after the divorce has been granted by the Court. Do you suspect your divorce may be more complicated? Start a conversation with a family law solicitor now and get the comprehensive advice you need. Where to now? Find out more about property settlements or get important information about organising parenting arrangements.